The ability to switch from effective cooling to heating and back again is one of the multiple benefits of owning a heat pump. At Logan A/C and Heat Services, we know that many of our Ohio customers have made a great investment in a heat pump for their homes, and we are proud to help them keep it running well. 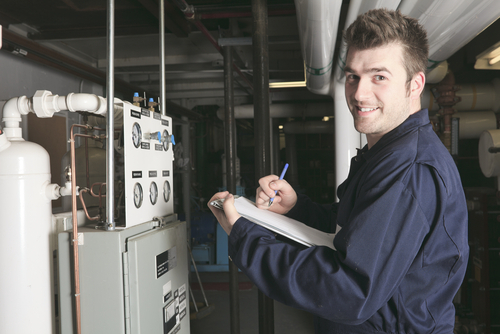 When you use our heat pump maintenance services, you can get the most from your heat pump. You will also receive our great customer service, every time. Scheduling professional upkeep with us once a year can lower your energy bills and ensure that your heat pump will last as long as possible. Although having Logan A/C and Heat Services maintain your heat pump does not take very long, there are a lot of aspects that we will test and visually investigate. We count on homeowners to keep an eye on their heat pumps throughout the year, but we are happy to take care of the rest. A thorough check once a year can improve your heat pump output and efficiency more than you might think. When a member of our team arrives at the scheduled time, you can expect us to complete several tasks. If this inspection brings up any issues that may need repair or further observation, our expert technicians can walk you through the process and your options. Customers who have one of our maintenance agreements may receive discounts on additional work. It is not surprising that a company like Logan A/C and Heat Services has been around for 50 years. After all, we have built a reliable business surrounding our fast and friendly service, with the kind of maintenance and repair that takes your home comfort to the next level. Scroll to the bottom to see your neighborhood listed in our service areas. We welcome phone calls if you have questions. We know you only want the best from your heat pump. That is why we aim to provide the best heat pump maintenance for you. To talk to us about our financing options or schedule a consult, contact us today.